Do you have a long reading list of books that you haven't read yet? Do you read a lot - but it takes three days - or more - to finish each book? Do you feel the need - because of work or in life - to be constantly upgrading your skills or know-how? 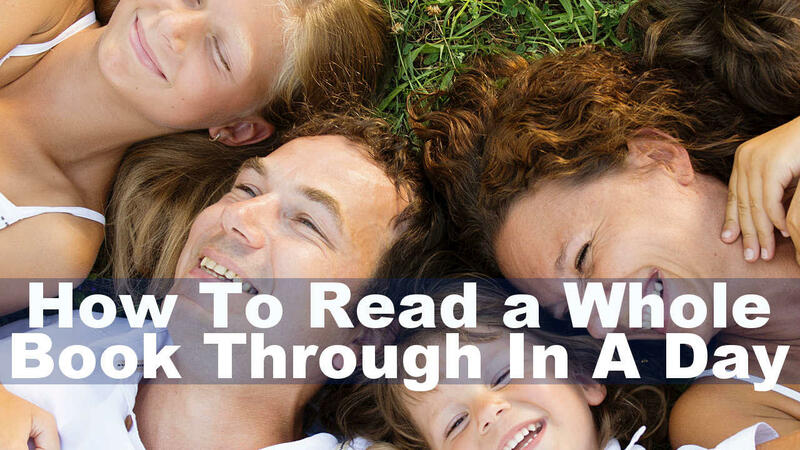 Do you perhaps want to read a lot - but it takes time that you rather want to spend with your family? If you can say a heartfelt - YES! - to any of these questions then this 6 week comprehensive learning program might be just the thing that you need. When my friends, students and coaching clients find out that I read 6-7 books each and every week - most of them are amazed. And most of them want to know how - and in this program I will take you step-by-step through the same process that I took to create the habit of reading a book through in a day. In this 6 week learning program I will explain why anyone that wants create the habit of reading a book through in a day - can do just that. I will explain the 7 most common reading habits that are holding you back - and what you need to do to reverse their affect on you. I will explain in detail 20 of the most common misconceptions regarding reading and how they might be affecting you today. I will explain and take you through reading exercises that will allow you to evolve your reading skills and ignite a better reading habit in the first 21 days. I will then move you onto advancing your reading skills in any reading material. Fiction, Non-fiction, Study Material, Reports or various work related reading material. If you have any questions regarding this course - click on the Messenger button below - post your question & I will get back to you!